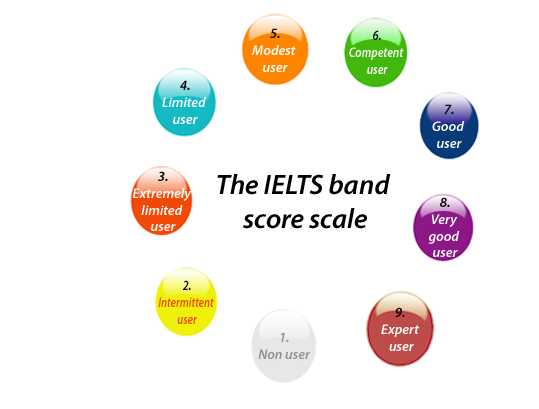 An IELTS result or Test Report Form is issued to all candidates with a score from 1 (no knowledge) to 9 (expert user). Students must aim for 6 bands as it the most acceptable band score in most of the cases. Test takers receive a Test Report Form including or listing their overall band score and their sub-scores on each of the four components: Listening, Reading, Writing and Speaking. Each of the component scores is equally weighted. The overall band score is calculated by taking the mean of the total of the four individual component scores. Candidate will receive a Test Report form which reports a score for each of the four skills -listening, reading, writing and speaking as well as an overall band score. Results are issued 13 days after the test. At some test centers candidates may collect their results on 13th day, at others results are mailed on the 13th day. Test centres are not permitted to give results over the phone or by fax or email. Enquiring on Result.